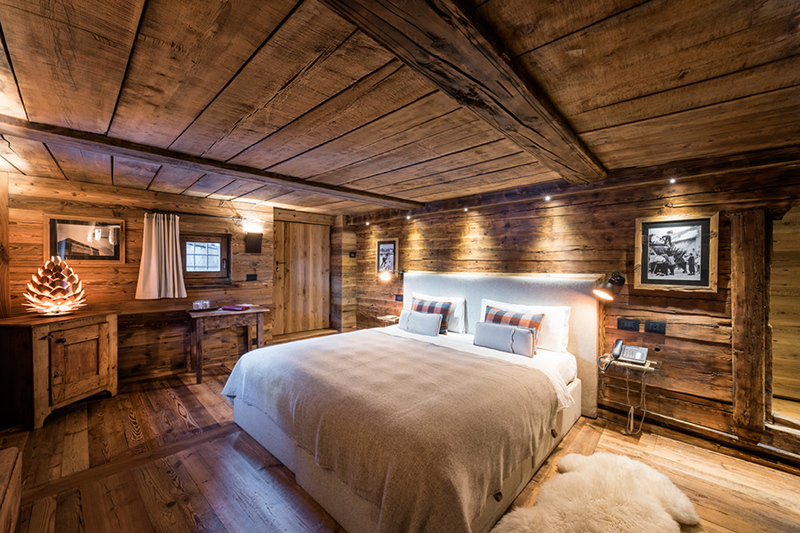 The new jewel of the Hotellerie de Mascognaz. 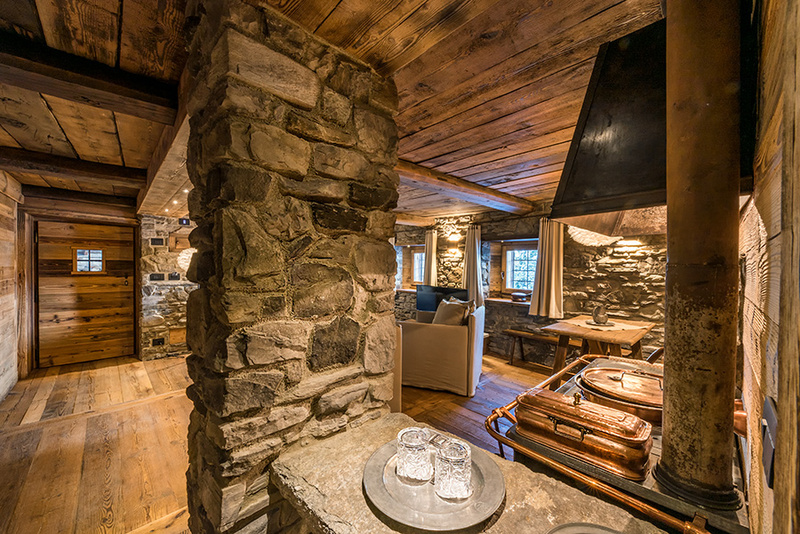 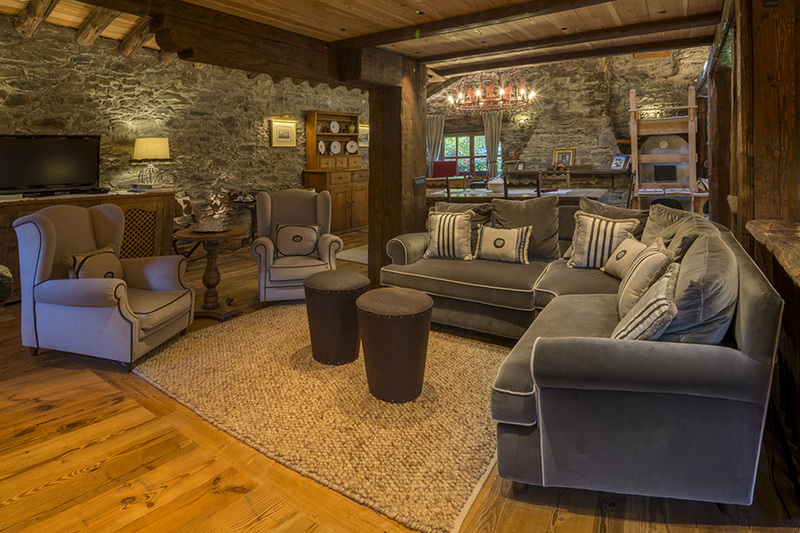 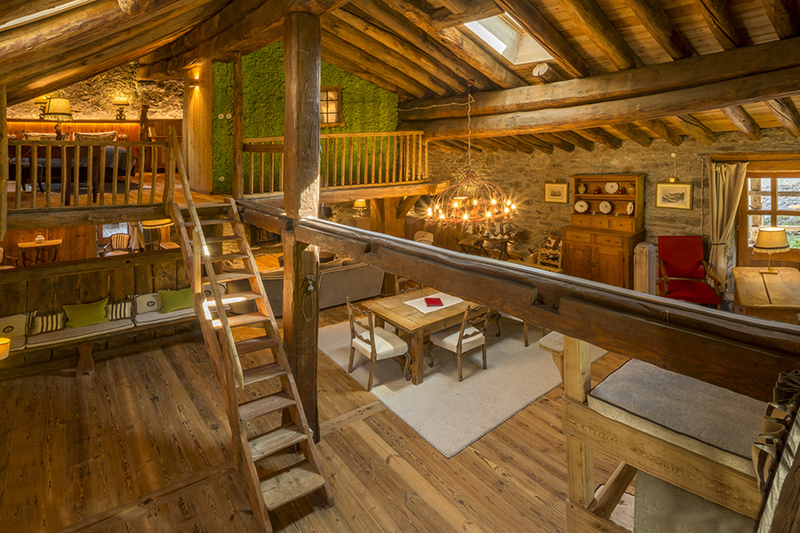 It has been renovated with a symphony of stone, antique wood and rough wool. 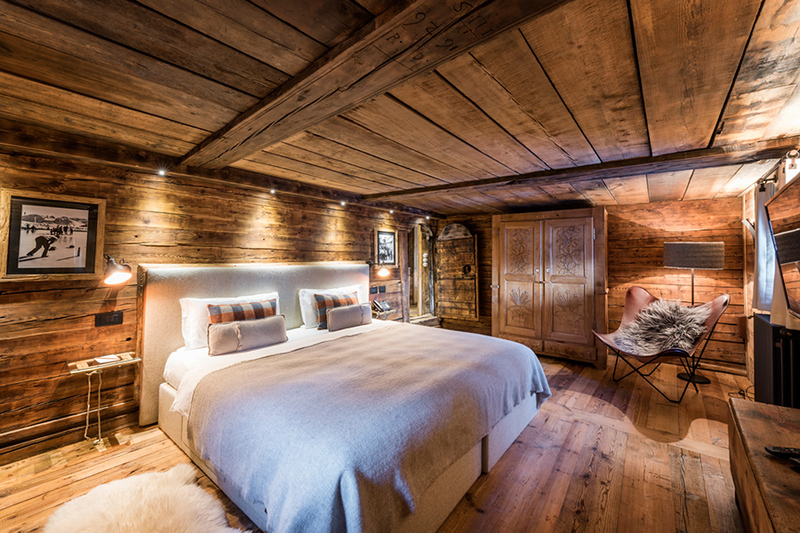 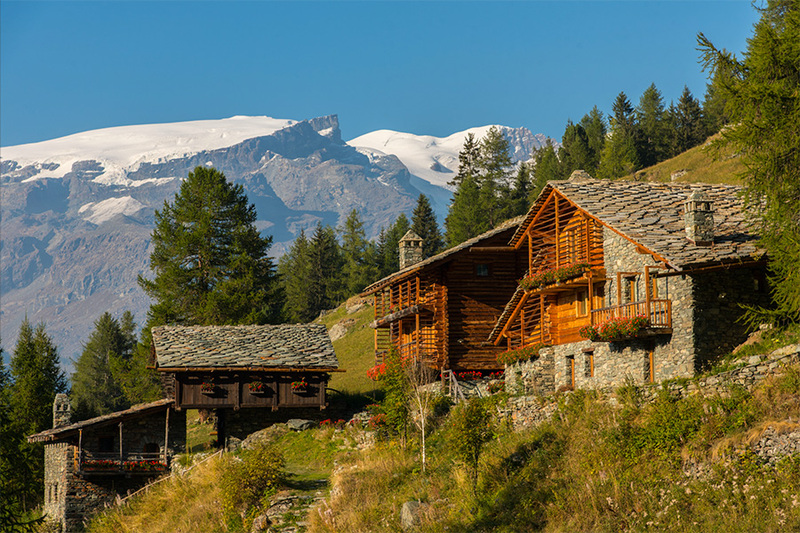 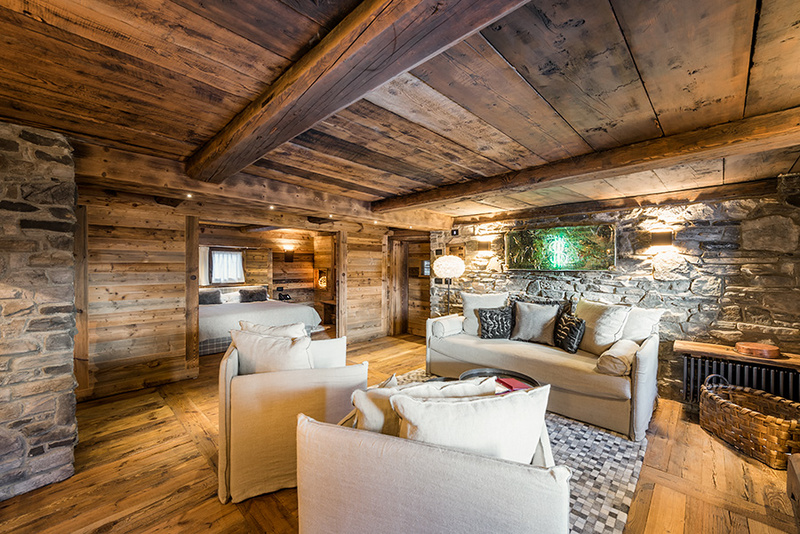 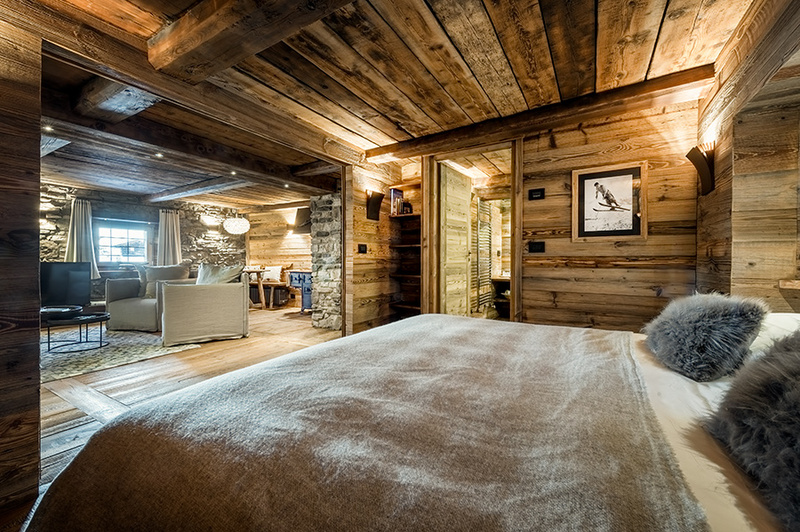 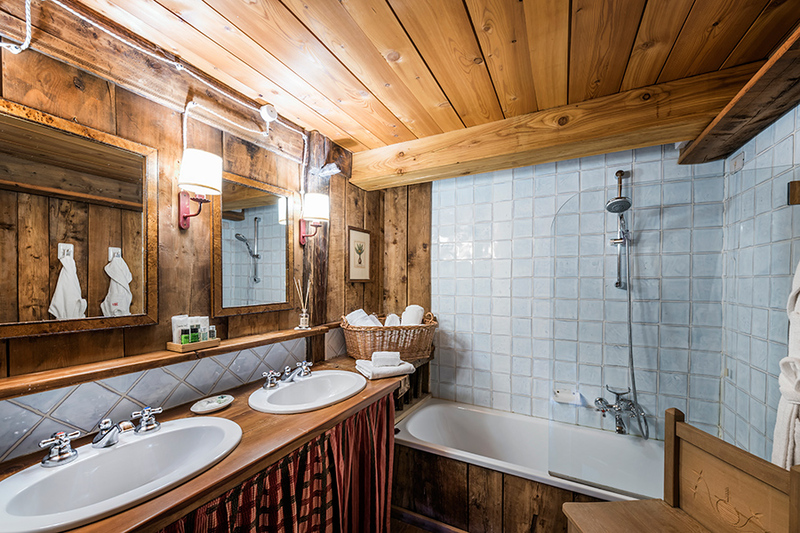 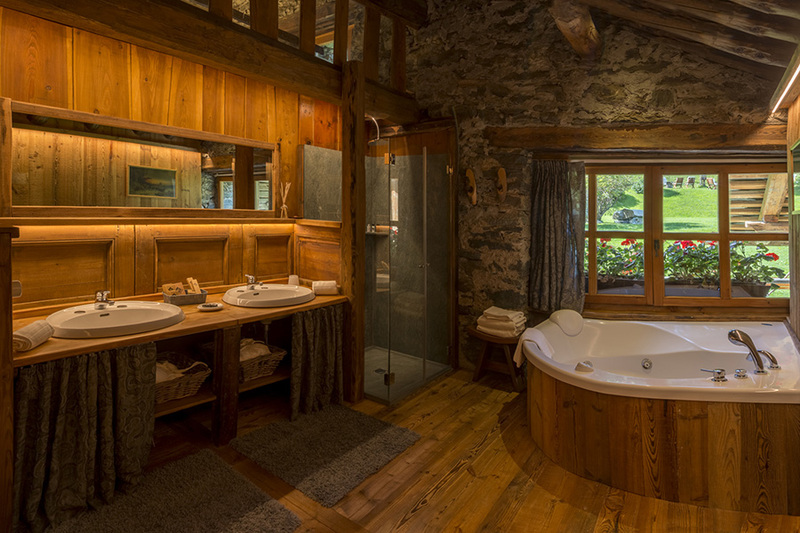 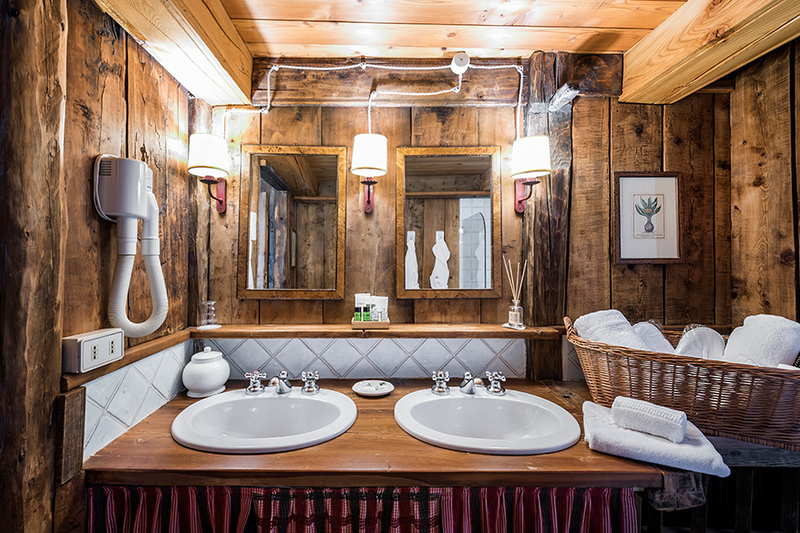 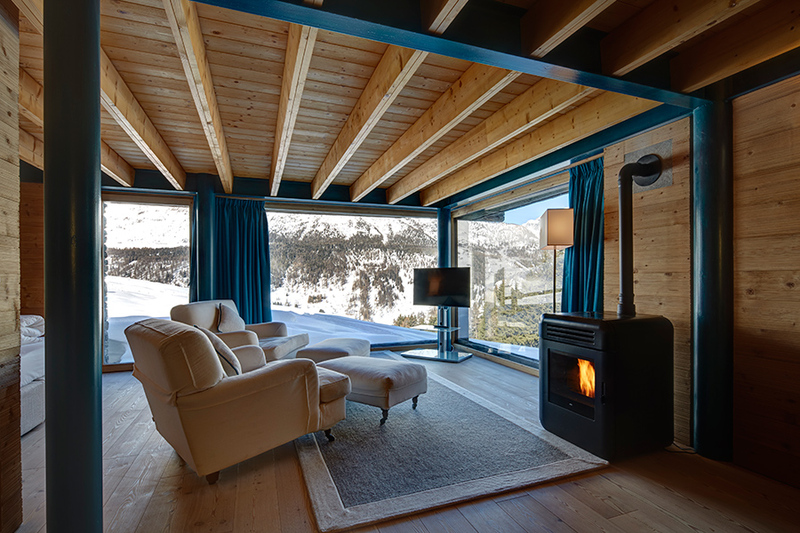 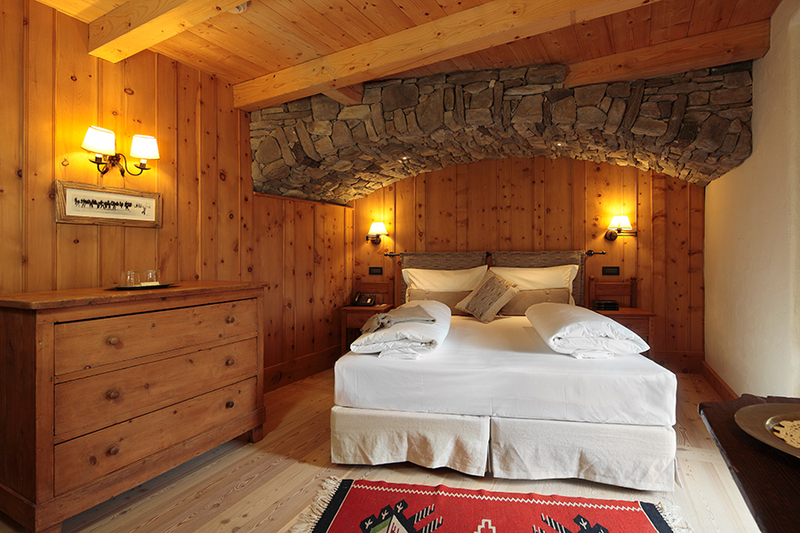 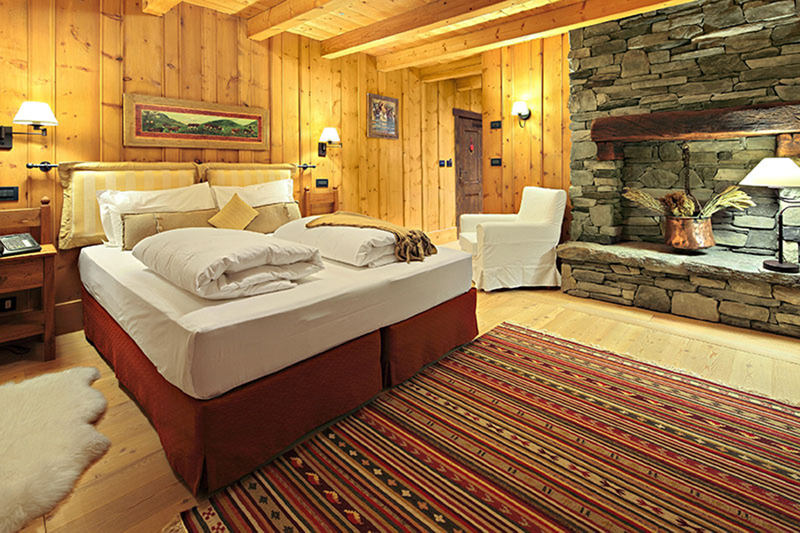 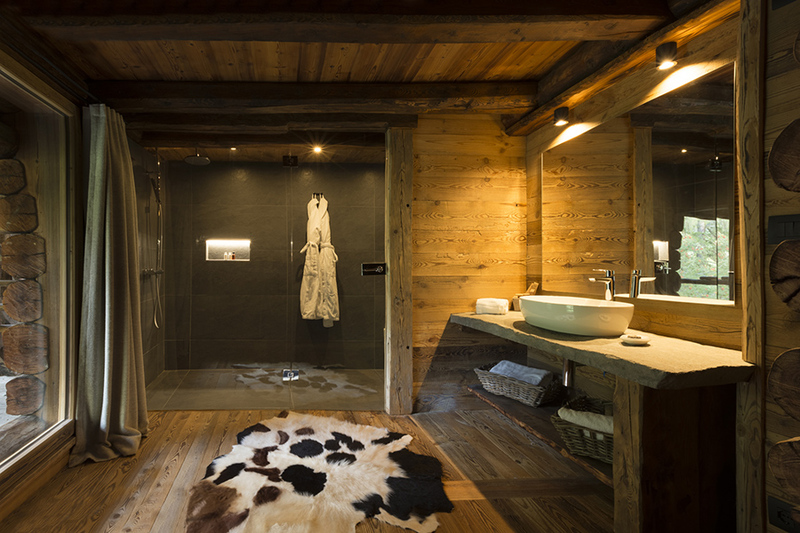 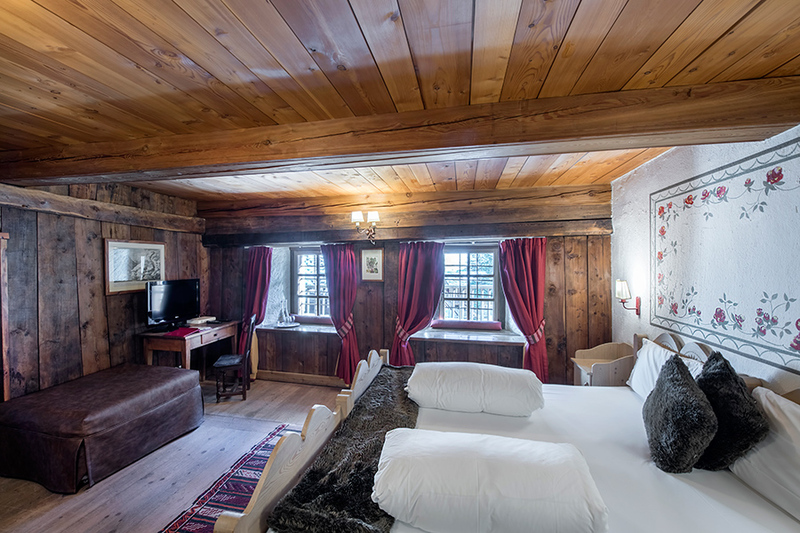 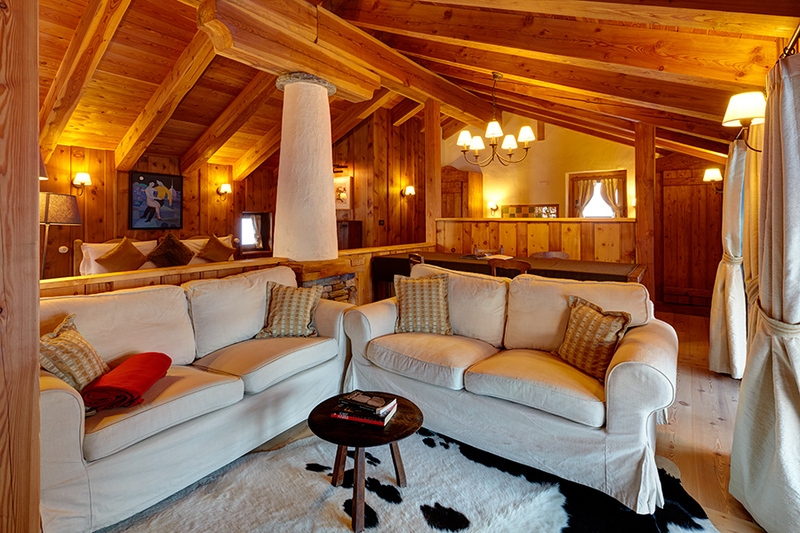 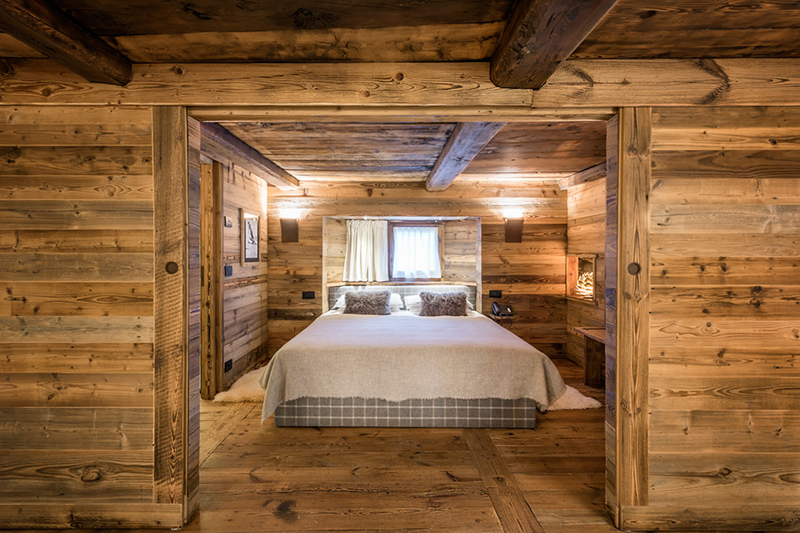 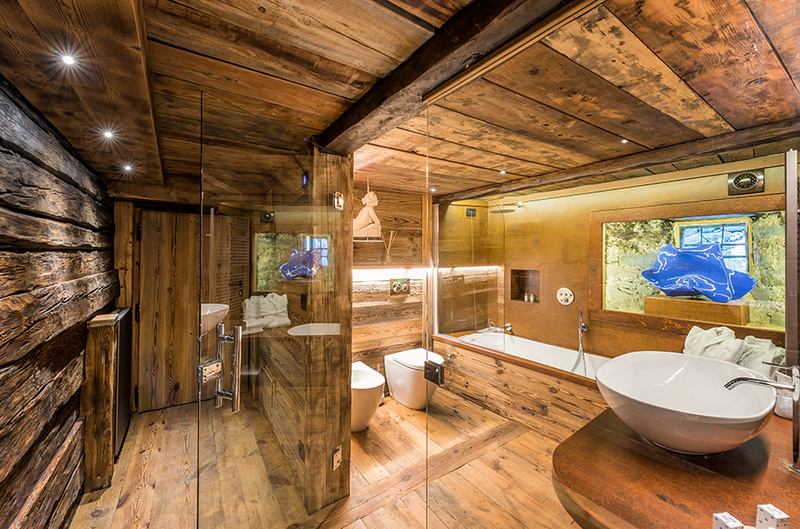 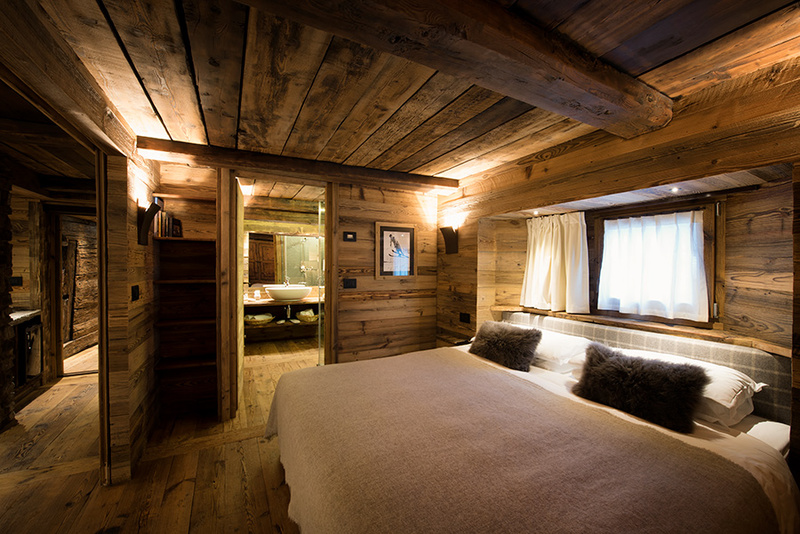 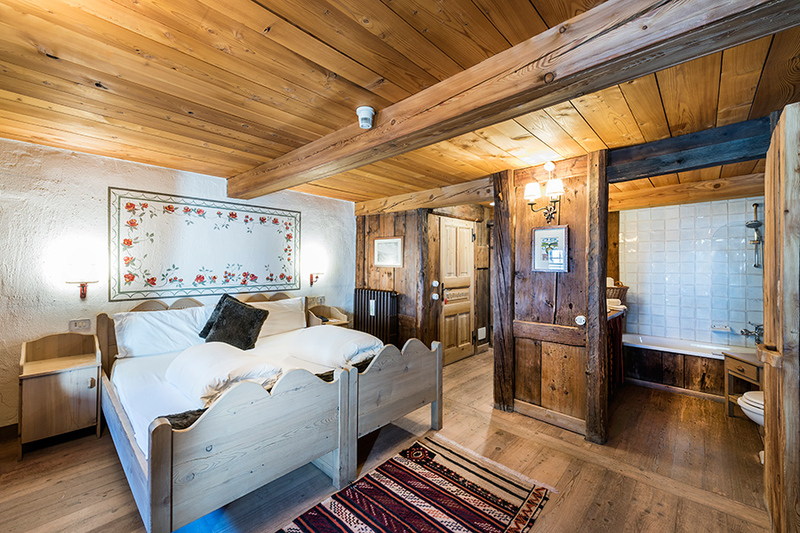 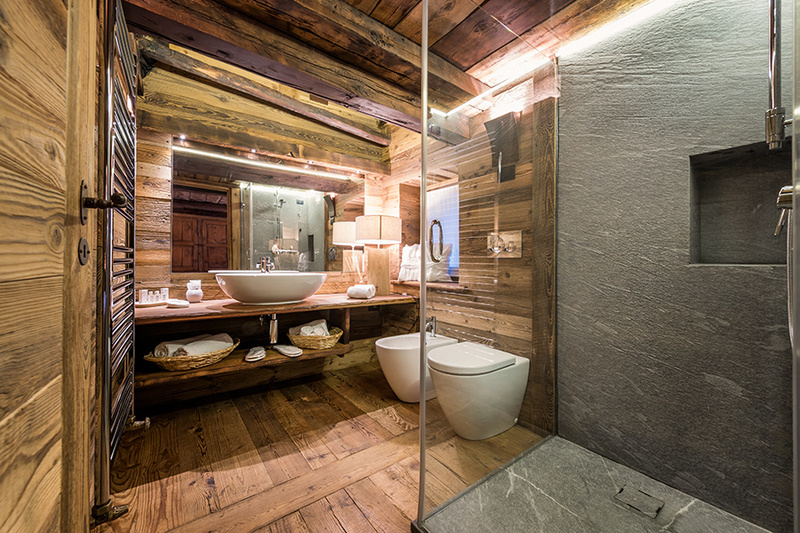 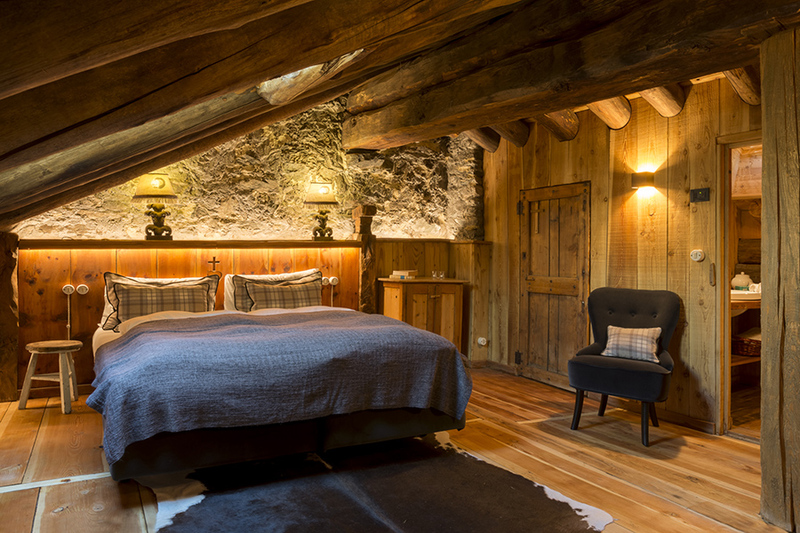 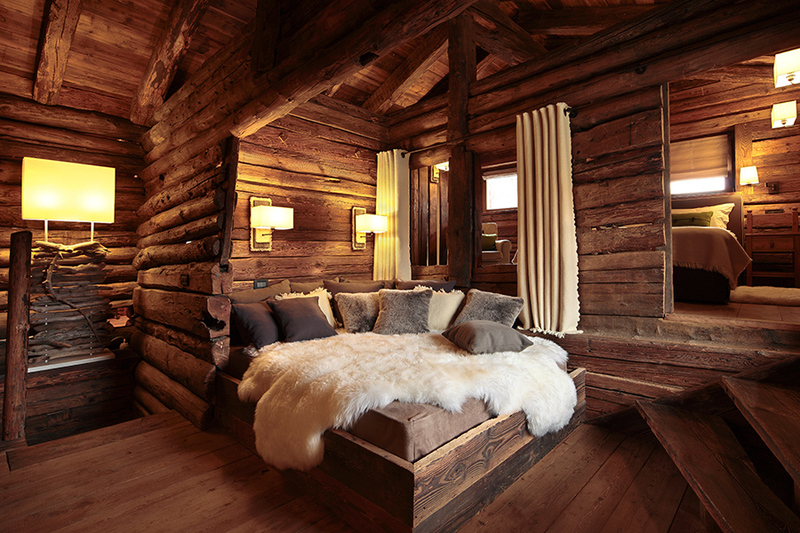 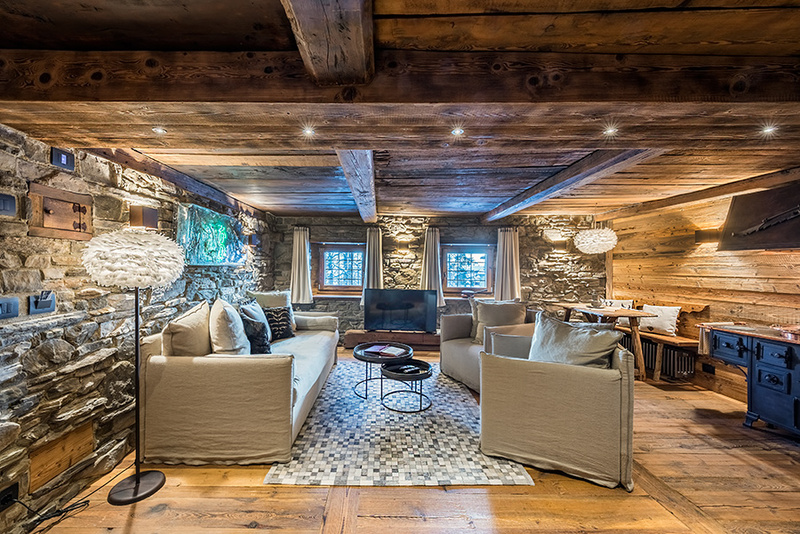 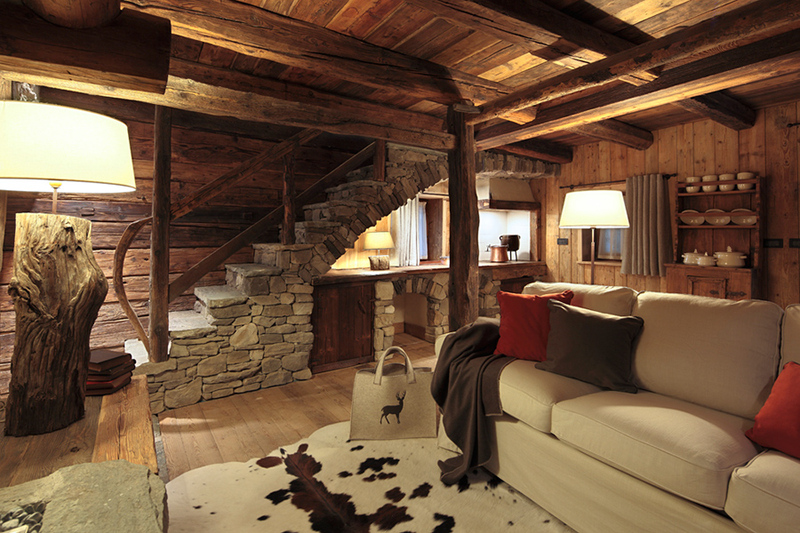 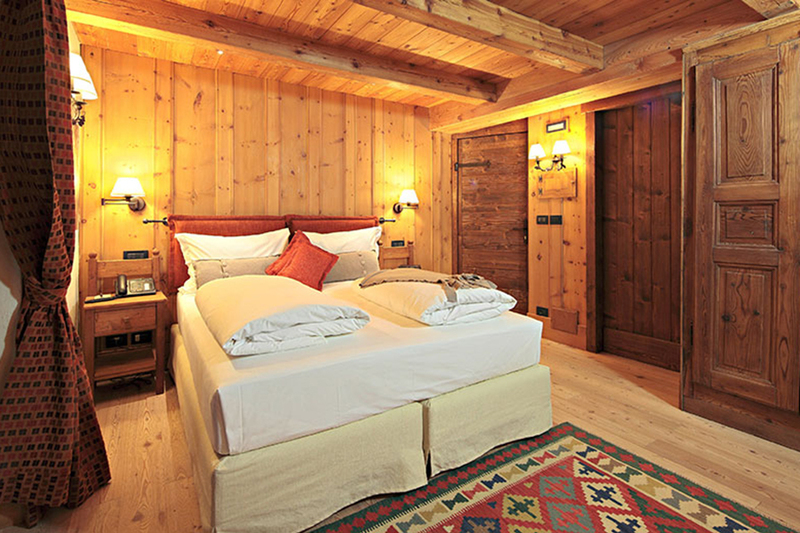 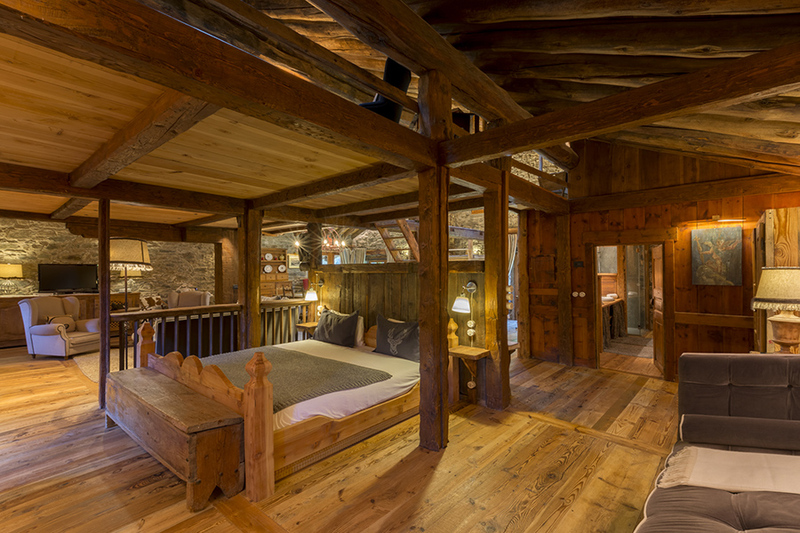 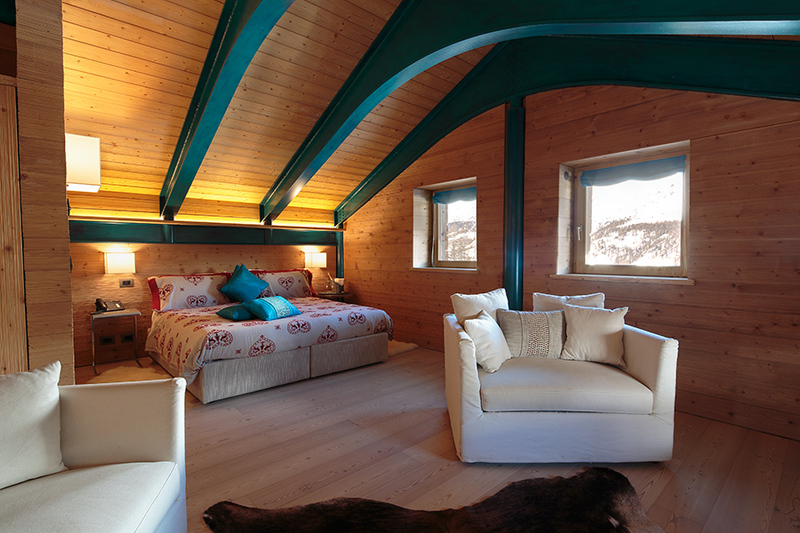 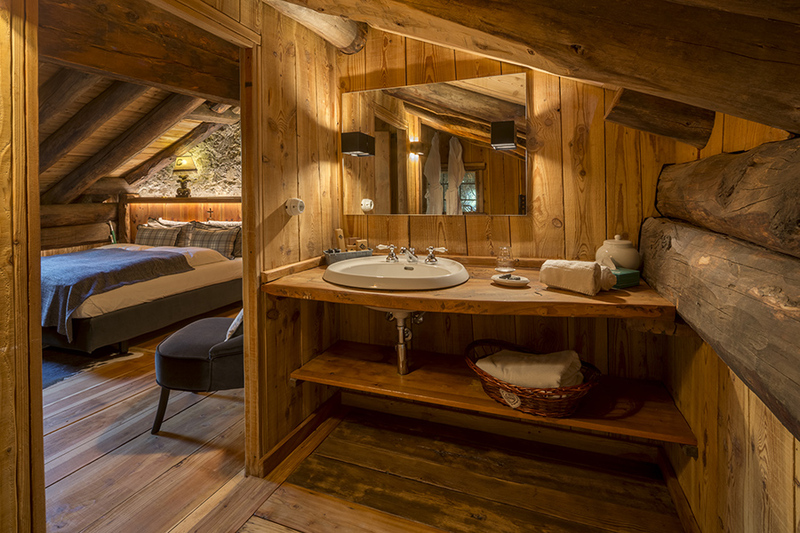 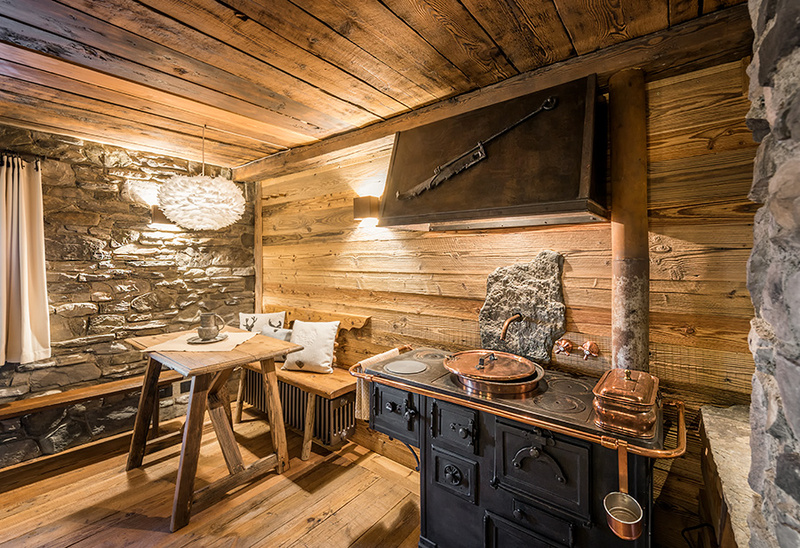 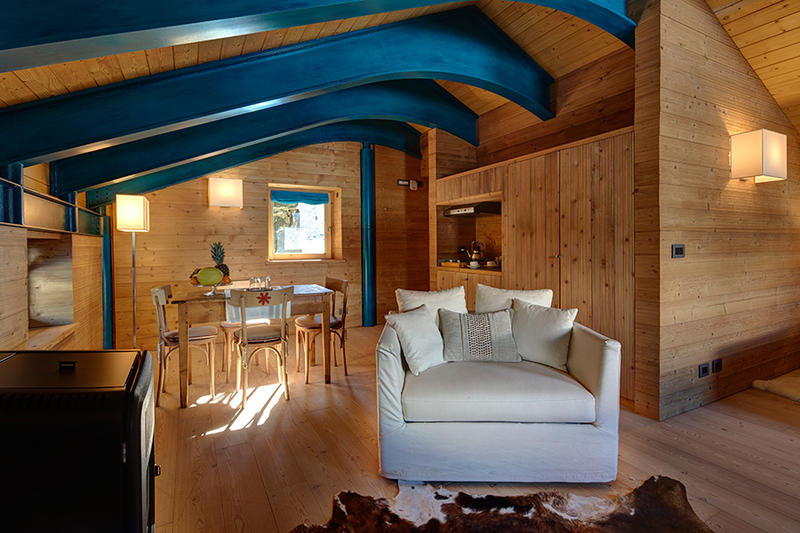 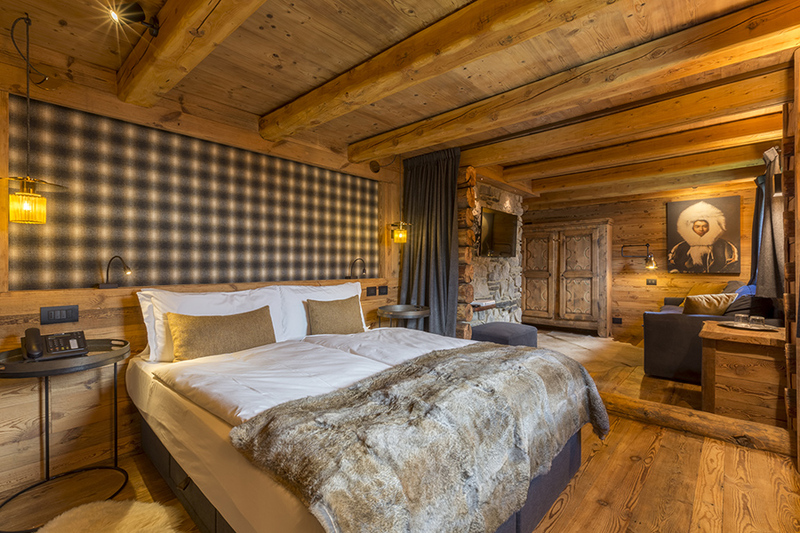 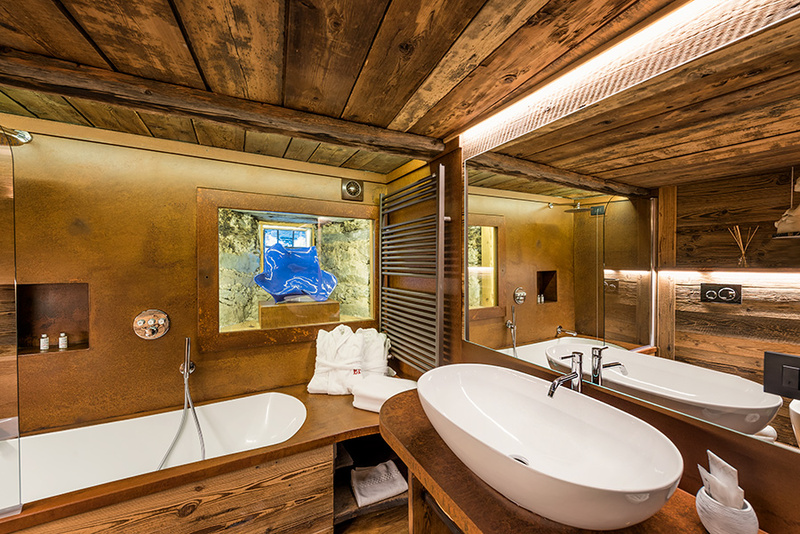 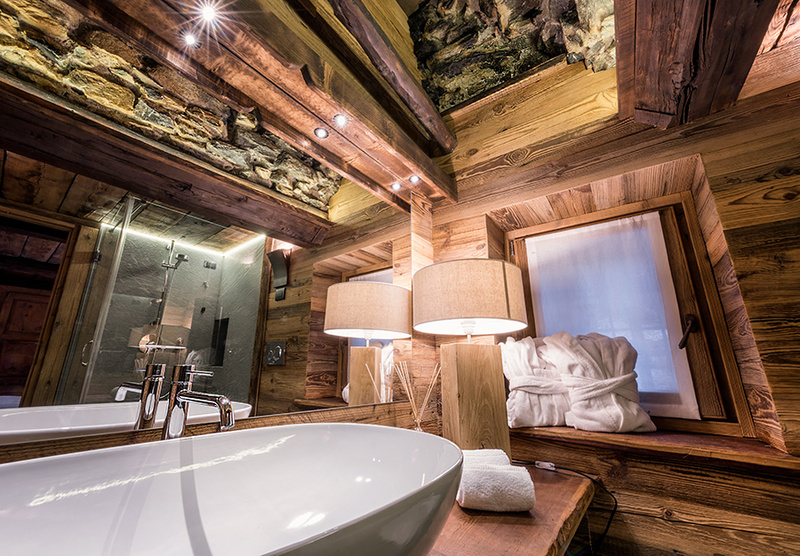 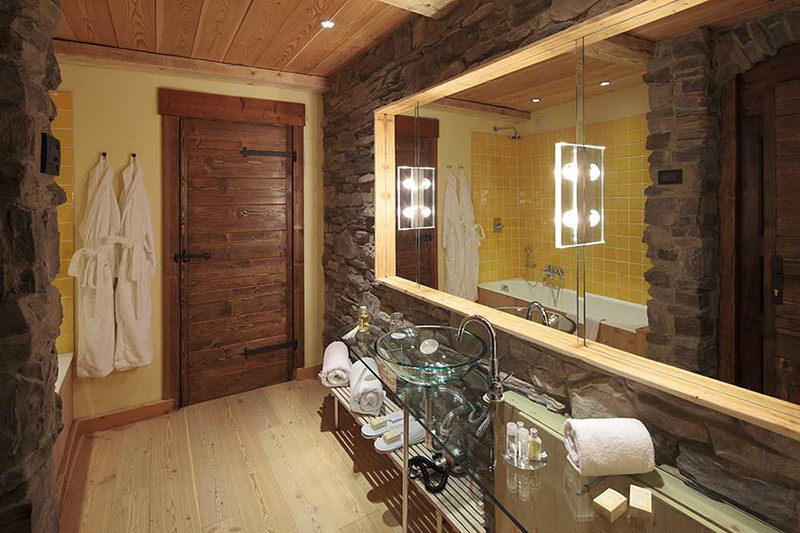 The biggest of the renovated chalets furnished with a local essence and antique textiles. 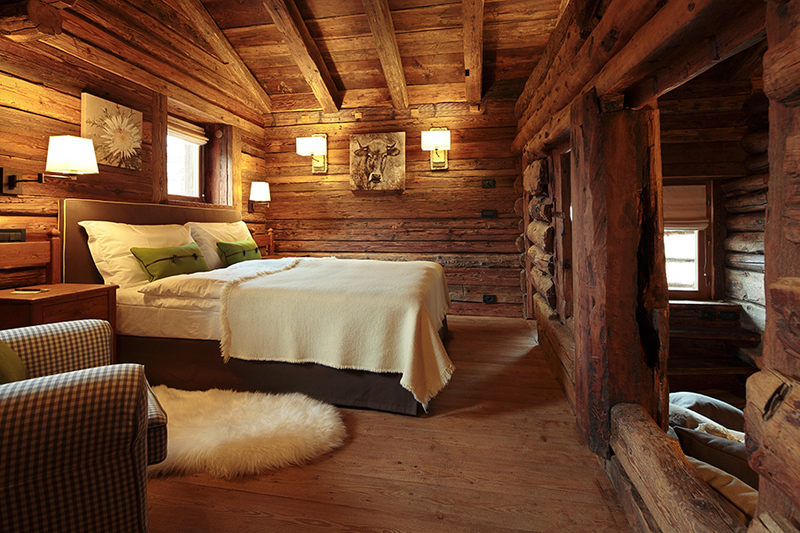 On the right bank of the Mascognaz river, taking its name from the original settlers of this small, tranquil village. 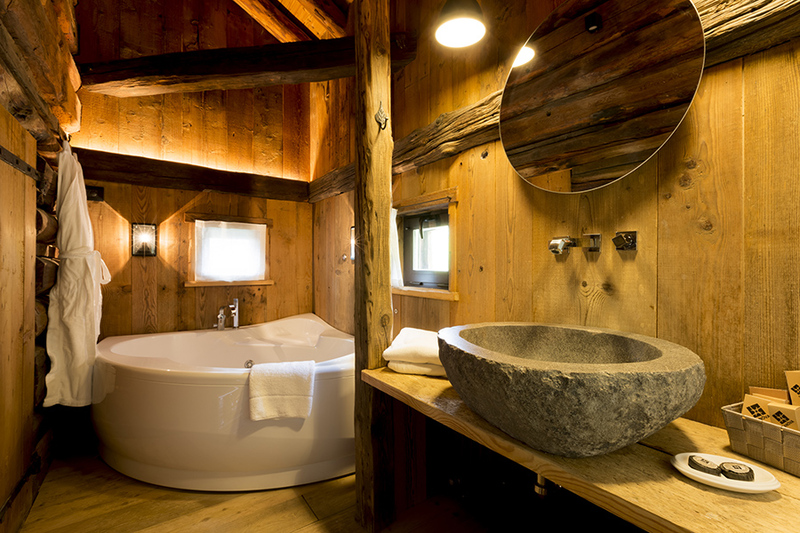 This is the pearl of our hospitality, a result of a perfect marriage between stone and wood. 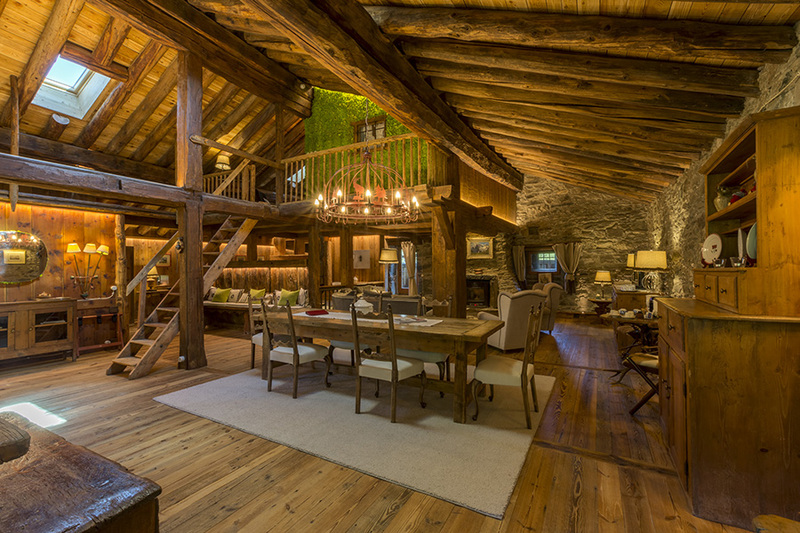 This is a conversion of an old barn that was subdivided into 4 rooms. 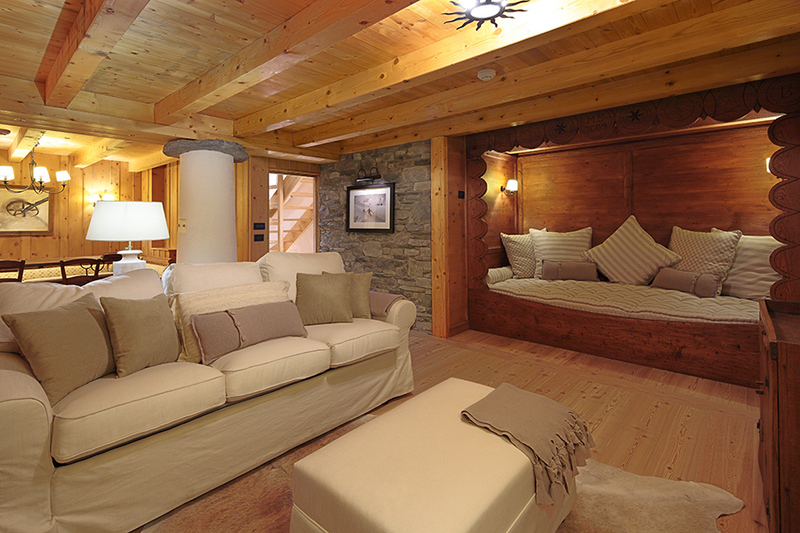 It has been turned into 2 bedrooms and a central lounge area. 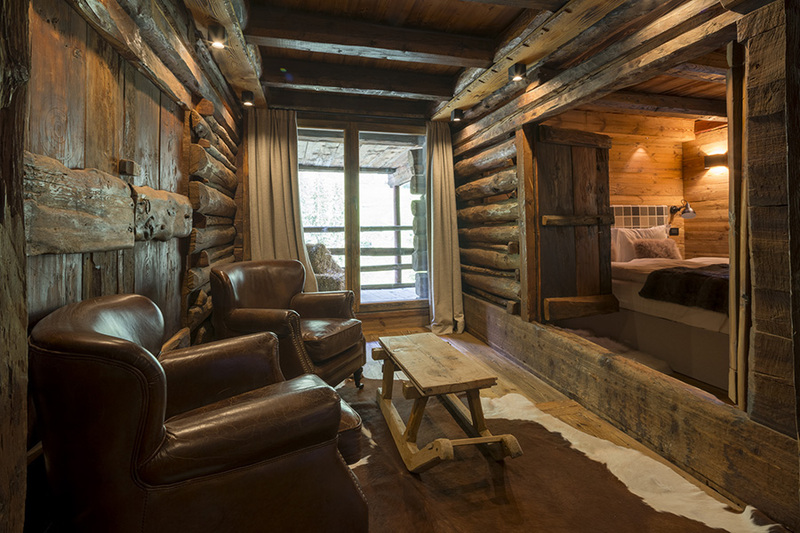 Enjoy La vie a Mascognaz! 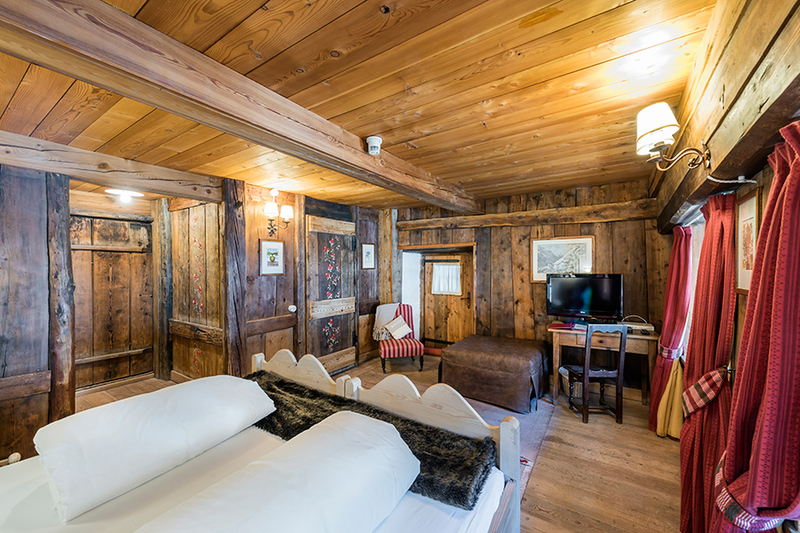 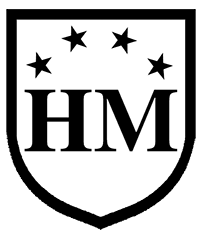 If you book directly on our website we offer you the half board with dinner and buffet breakfast. 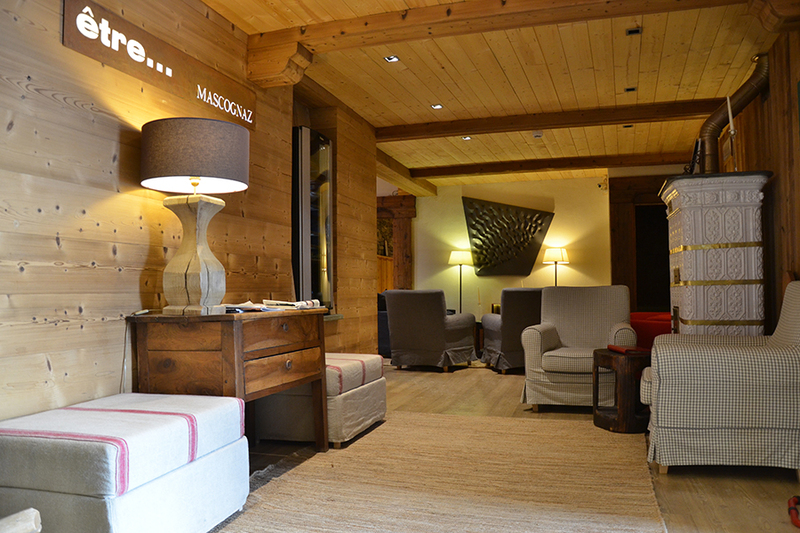 4 courses dinner in our beautiful restaurant just for you! 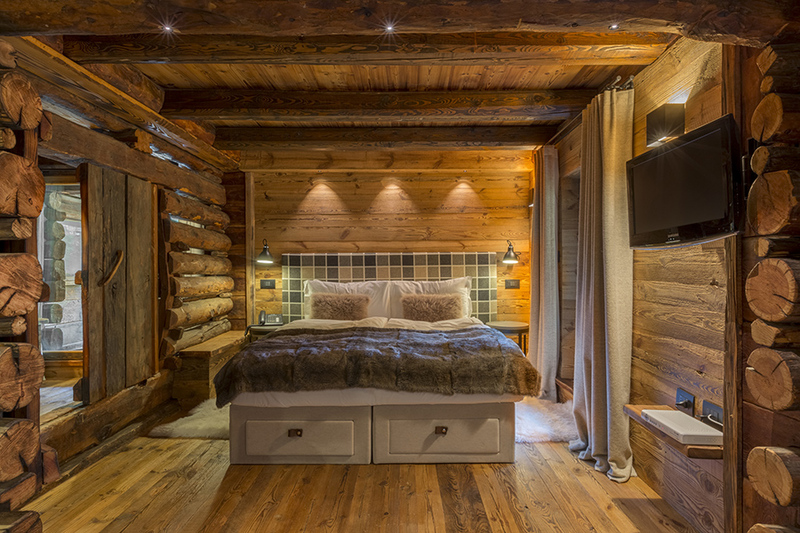 The prices also include the use of the spa with swimming pool, Jacuzzi, sauna, Turkish bath, relax room, gym room and transfers from Mascognaz to Champoluc and back up to Mascognaz.